This console generation has no shortage of remasters. 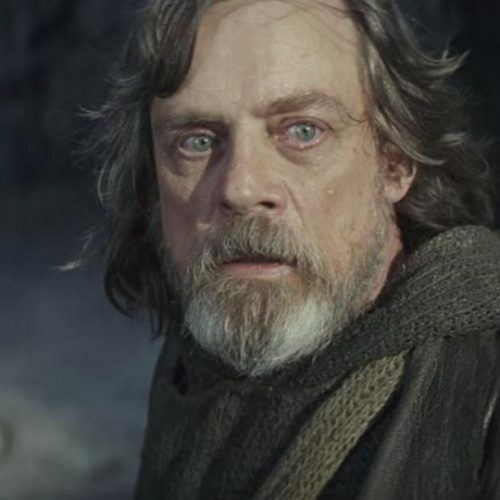 Hell, it feels like one has either been released or announced every other week. Some are released without even a word about their existence beforehand. The problem is that some of these remasters are half-baked and feel more like simple ports of their previous-gen counterparts with no noticeable improvements and some actually run worse. 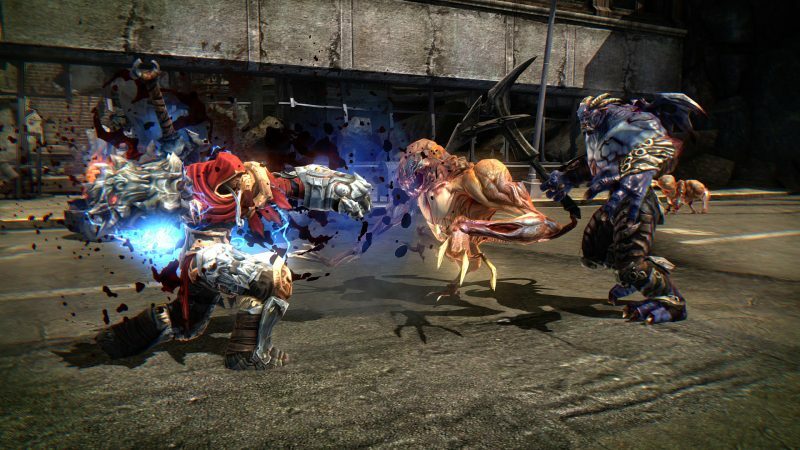 What category does Darksiders: Warmastered Edition fall into? First off, I love the title Warmastered Edition as it falls in line perfectly with Darksiders II: Deathinitive Edition as a clever play-on-words based on the protagonists’ names. The PS4 version runs at 1080p 60fps with a Pro version running at native 4K. I can’t speak too much on how well it runs on the Pro considering I don’t have one, but the framerate on regular PS4 can be fairly inconsistent. The first two hours were smooth sailing until I reached the first boss. Framerate during battles tends to get worse the further you progress in the game. While it’s a bummer, it certainly didn’t prevent me from enjoying the game any less. You may not see a huge graphical improvement at first glance, but looking at them side-by-side makes it apparent that the remaster is obviously better looking, even compared to the PC version of the original. Textures are higher quality, but the colors are the most pleasant improvement thanks to their more natural tones making it marginally less cel-shaded. Don’t get me wrong, the difference isn’t night and day; more like night and dawn. The biggest problem with this remaster are the in-game cutscenes, where the lip-syncing can be off by SECONDS! This is by pure chance; some cutscenes don’t have this problem while others do. What’s even stranger is that every other sound effect is perfectly in place while the voices could totally not be. Even worse, is that some scenes will just randomly stop, cutting back to gameplay while still playing the dialogue only. 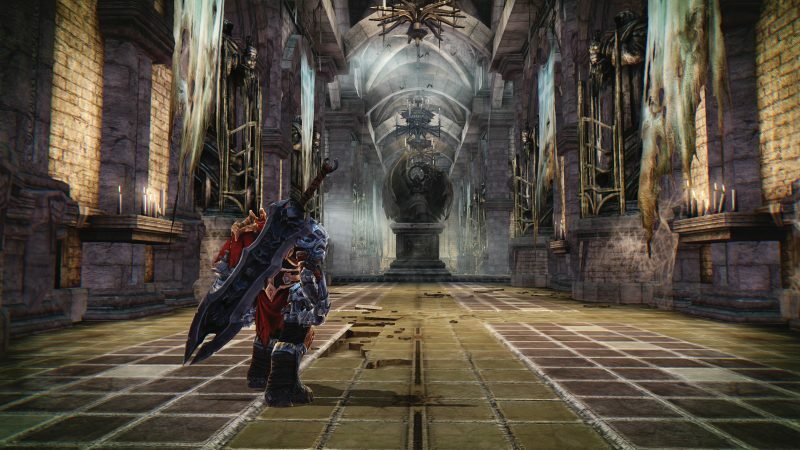 Darksiders: Warmastered Edition is a solid remaster on PS4, despite some issues with framerate and cutscenes. It’s far from perfect (seriously, fix those cutscenes) but at only $20, you can do much worse. If you’re new to the franchise, this is definitely the best way to get started since I speculate THQ Nordic aims to give the franchise legs again. And if you already own the original Darksiders on Steam, you get the Warmastered Edition absolutely free! Now then, let’s get to the actual game. 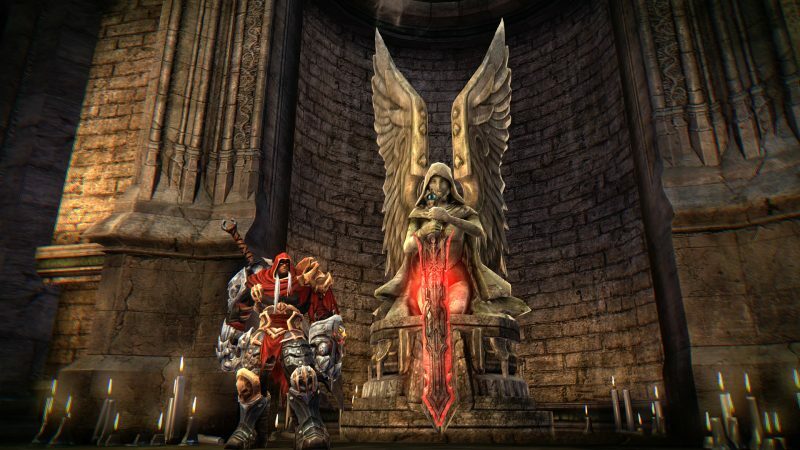 The story of Darksiders takes heavy influence from Biblical tellings and characters, although they may not be exactly as described in the New Testament or Book of Revelation. It opens up with an animated prologue explaining how the Kingdoms of Heaven and Hell have always fought relentlessly, thus resulting in the creation of The Charred Council and The Four Horsemen to maintain balance. 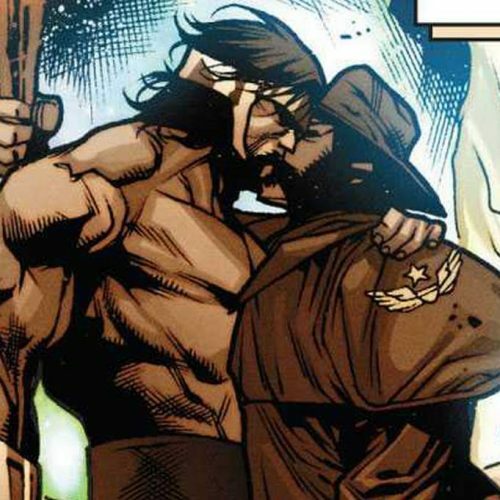 Transitioning to present-day Earth, or the Kingdom of Man, the Endwar has been triggered and Earth has been thrown into the middle of a conflict between Heaven and Hell. You play as War, one of the Four Horsemen, as he is blamed by the Council for causing the Endwar too soon. 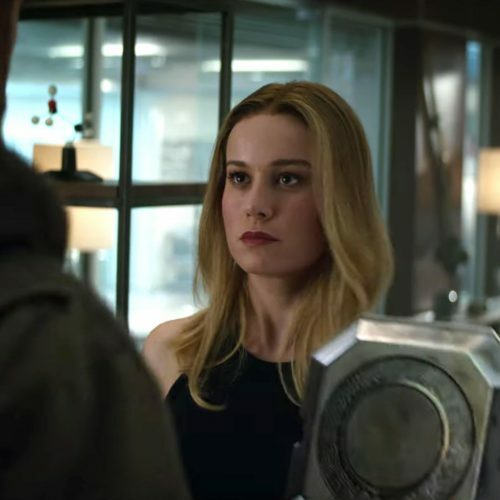 He is given permission to prove his innocence by going back to post-apocalyptic Earth 100 years later while being under strict guard by a demon called The Watcher. 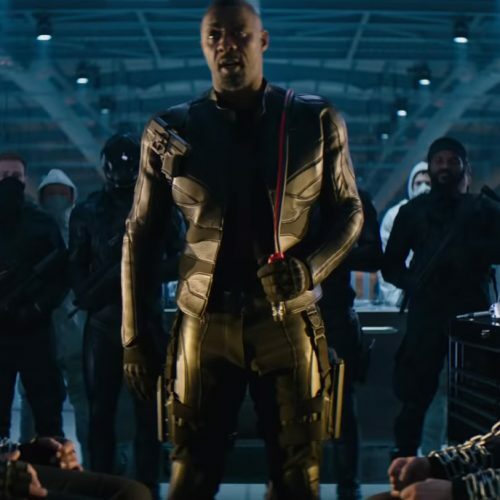 The story holds some interesting ideas, but its execution leaves something to be desired. Exposition is thrown at you within the first 15 minutes of the game, so it’s tough to follow unless you do some light reading outside of playing. It also didn’t help that the poor lip-syncing was distracting me. However, the story is overshadowed by the gameplay and that is definitely a good thing. 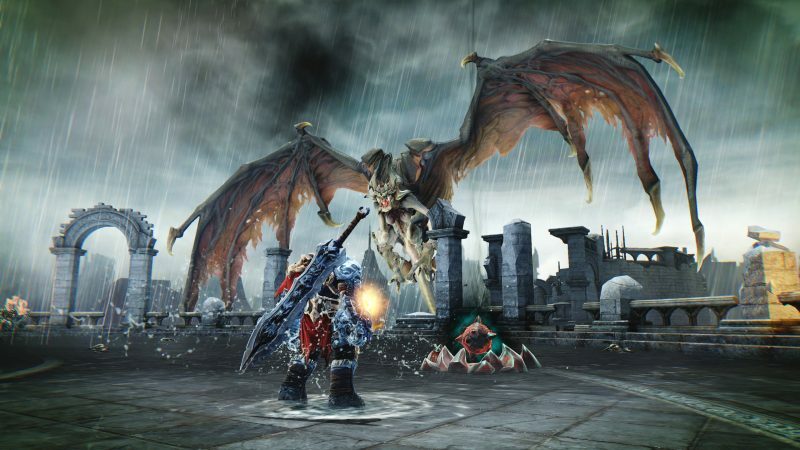 I’ve heard Darksiders described as a more extreme version of The Legend of Zelda, and I can see why. Combat and item designs are similar, but the overall experience feels completely different. 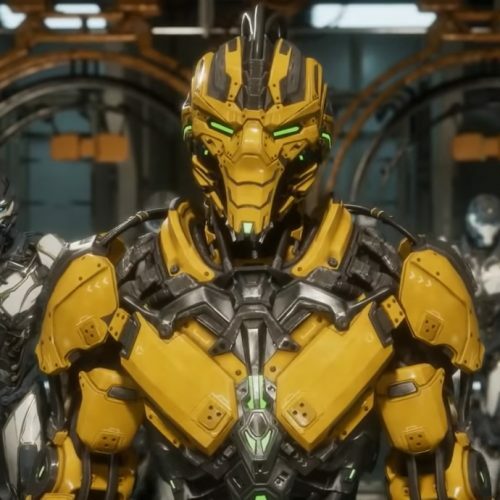 The world is reminiscent of a Metroidvania game, where it isn’t necessarily open world, but everything is seamlessly connected with little to no loading screens between areas. Your main objective is to find the hearts of Guardians in four different parts of the world. Eventually you’ll gain transportation help from the Demon Merchant Vulgrim, who will open up serpent holes that act as fast-travel points. 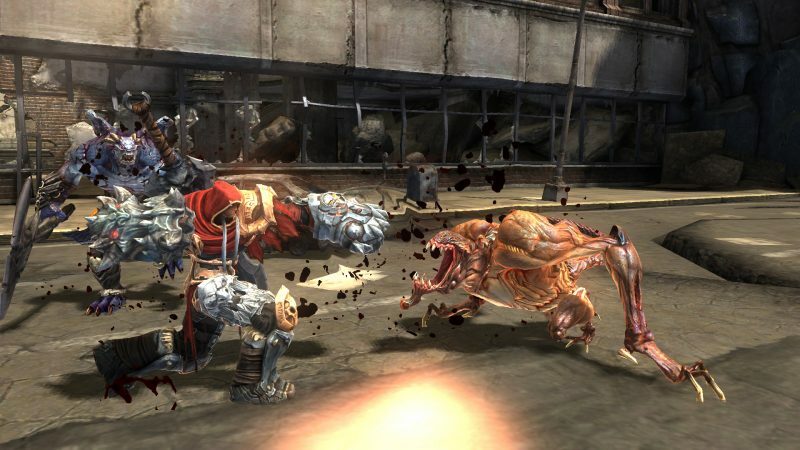 Darksiders features some of the smoothest and most fun combat I’ve played. Sometimes it might feel like a button masher, but if you play your cards right, you can pull of some effective combos putting even the toughest enemies in their place. I played the game on the hardest difficulty because I wanted to get that trophy, and it gets easier the more you progress. If you’re in the mood for a challenge, I definitely recommend that difficulty. Just be ready to die a whole lot in the beginning. Enemies range from pawns who can be knocked out with a few hits, to ravaging brutes whose hits can knock off half of your health. Thankfully, their size is not always an indicator on how tough they are. Some of the smaller enemies pack a mean punch and their size makes them more agile to dodge your attacks. What’s ironic about the boss battles is that they usually get easier after each one. I’ve never encountered one that was harder than the first boss after the prologue, who got the drop on me thanks to my low health at the time. Where the game really starts feeling like Zelda are the environmental puzzles. Even though they’re not as ingeniously designed, they can certainly be different thanks to the selection of items. Over time you’ll collect tools that will assist you in completing your adventure, from a deadly boomerang to a grappling hook. Every time I think I’ve seen everything Darksiders had to offer me, the game would pleasantly surprise me with a tool that changes the way I think about progressing. The boomerang (or Crossblade) gives War the ability to attack enemies from afar as it continues spinning in a circle providing maximum damage. Not only that, but he can hit switches that can slow down time. One of the later items in the game is the Voidwalker, which is basically a Portal gun. This completely changes the dynamic of puzzle-solving and makes it harder to think about what to do next! With more items like these, it’s best to save some surprises. 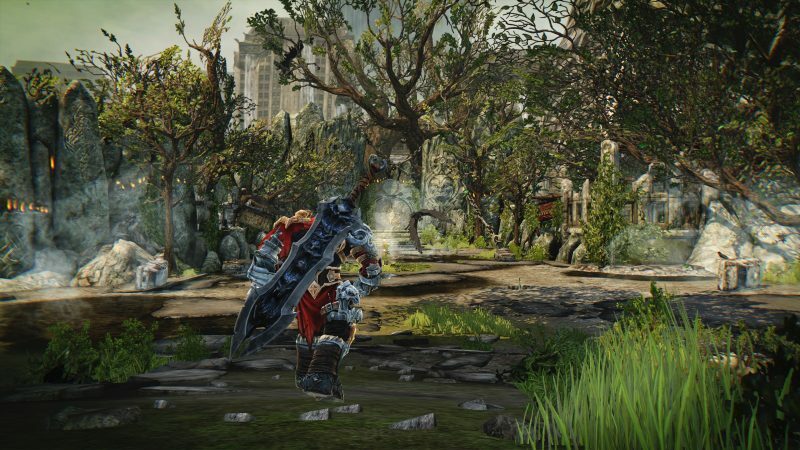 Despite its technical problems like poor lip-syncing and unstable framerate, Darksiders: Warmastered Edition is a great way to get introduced in the Darksiders franchise. Third-person action adventure fans will find a number of things to enjoy in this series, and the sequel is already out via the Deathinitive Edition which I will get to playing soon. This remaster is as sign of good things to come for Darksiders, I just hope they fix the lip-syncing by then.